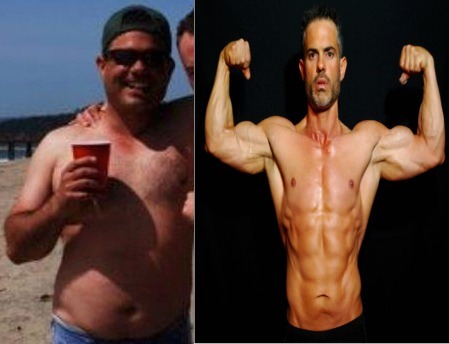 Rich is one of the original Adonis Transformation Contest winners. He’s learned to deal with the environmental influences during and after his transformation. Today, several years later, he still maintains the Golden lifestyle. Maintaining is less extreme than the “correction”. When you maintain, you only need very short temporary corrective action for minor fat gains. Reigning in eating habits results in a journey back to a maintenance level.